The tourism industry of Sri Lanka is poised for growth to achieve sustainable development phase within the next few years, based on the strategic direction determined by the new government.Sri Lanka Tourism has formulated a broad Strategic Marketing Plan for year 2016, with the participation of private and public sector stakeholders addressing long standing needs of the industry and the future expectations of the country as a tourism destination. The new strategy was refined for its contents to maximise the benefits to the tourism industry and to position Sri Lanka as the most sought after travel destination in Asia. During year 2015 up to November , Sri Lanka Tourism recorded 18.1% growth on arrivals with 1.5 million arrivals. The total tourism revenue generated was US$ 2.2 billion. At this backdrop, the tourism promotional plan of year 2016 is formulated based on five key strategic objectives. Attracting a target number of 2.2 million visitors with 26% annual growth, increasing average daily expenditure of a tourist up to US$ 200 and average stay, contributing to generate a total tourism revenue up to US$ 2.75 billion will be the key performance measures. Uplifting Sri Lanka’s brand value up to US$ 80 million through tactical marketing campaigns focusing on main product offerings of the county will serve as the overall goal of the promotional strategy devised for 2016. The core destination promotional tools will be enhanced such as advertising and PR to implement a global advertising campaign and global PR initiative to stay ahead of the major competitors to Sri Lanka. The advertising campaign will be implemented in line with the Nation Branding Campaign initiated by the government of Sri Lanka thus by choosing leading service providers following the government procurement guidelines. Tourism promotional strategy 2016 has addressed the long standing need of appointing PR agencies for key markets especially in Europe, East Asia, Benelux and emerging markets. Sri Lanka Tourism wish to appoint PR agencies for major source markets in order to achieve country promotional objectives and aggressively promote the country enhancing tourism brand in the world. The strategic choice for country promotions has been constantly challenged by the global trend towards internet/online based destination marketing in the recent years. Most of the traditional marketing tools have been outdated with the introduction of web based booking engines, tour planning, e-marketing and other real time services available to frequent travelers online. Considering these developments, Sri Lanka Tourism has opted to implement a fully-fledged online and digital marketing campaign for year 2016. The campaign will create language specific web sites for all main markets and will promote the destination on focused online and social media platforms identified in each country. Special prominence has been given to attract travel bloggers with high reputation who will act as brand ambassadors generating credibility providing first-hand publicity for Sri Lanka based on experience gathered by visiting the country. The trade familiarization tours and media familiarization tours will continue to be a major component of year 2016 marketing plan. Overall 300 travel agents and 200 travel media will be facilitated from the countries around the world under the familiarization tours hosted by Sri Lanka Tourism. 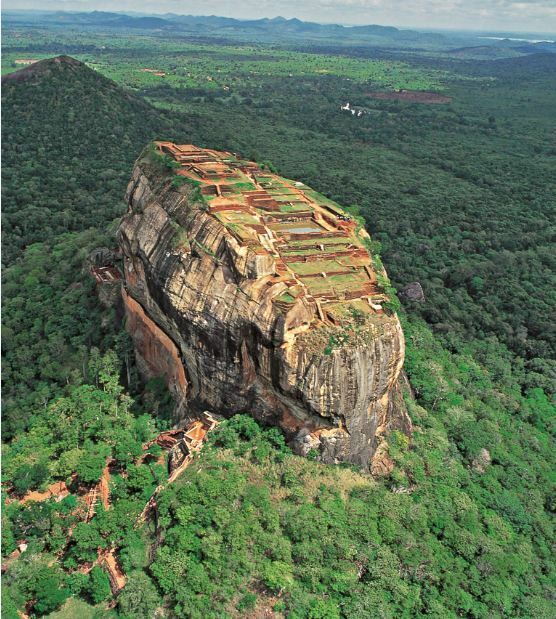 Familiarization tours will attract prominent print and electronic media to Sri Lanka to produce and generate articles on the destination and its tourism products. The traditional promotional activities such as participating for travel fairs, conducting roadshows and outdoor promotions will also be carried out in each country. However this will be focused and implemented based on the need analysis. For year 2016 SLTPB will participate at 46 travel fairs and road shows in 20 key countries in order to develop the product brand and generate sales by B2B agent interactions. Sri Lanka Tourism hope to enter into strategic partnerships with Sri Lankan Airlines and new Airlines connecting the regions, capitalizing on the “Open Sky” policy of the government of Sri Lanka. It is planned to develop strategic partnerships with all existing key airlines and work with new airlines like Austrian Air and Malindo Air and Air China who will have new operations to Sri Lanka. The tourism strategy has allocated budgets for working with airlines and strategic partnerships along with attracting charter flights.It is planned to develop strategic partnerships with all existing key airlines and work with new airlines like Austrian Air and Malindu Air and Air China who will have new operations to Sri Lanka. The tourism strategy has allocated budgets for working with airlines and strategic partnerships along with attracting charter flights. Positioning Sri Lanka as a venue for international and domestic events will be a key component of the 2016 marketing strategy. Sri Lanka Tourism hope to stage internationally acclaimed tourism related events in Sri Lanka during next year such as Arugam Bay Pro- Surf, Kiteathelon, Adventure Tourism events etc. In the meantime more than 25 cultural /religious events and arts and entertainment events that has direct impact for tourism development will be conducted by Sri Lanka Tourism . The activities will be strengthened by increased monetary contribution in year 2016. On the other hand , steps will be taken to improve the quality of tourism products by investing on the infrustructre developments. Tourism information centers will be strengthened for better serving the travellers . Local media Campaigns , New product developments, niche segments developmemt, working with provincial councils for domestic tourism development are part of the strategy formulated for year 2016. During the year 2016 Sri Lanka will host the largest ever French travel agent’s congress SNAV, by attracting 600 travel agents from France to the country. The congress will provide huge exposure for the destination in Europe, especially in French speaking countries. Sri Lanka Tourism hope to promote the country as a destination for MICE travel and leisure travelers by proving its capasity to host events of this capasity. Sri Lanka has also won the host country status for PATA 2017 which provide similar exposure to the destination. The bidding process will continue to attract more congresses, incentive travellers and events with the objective of making Sri Lanka the MICE hub of Asia. The government of Sri Lanka has provided special consessions to MICE travel development which is an encouraging factor to invest in this sector. 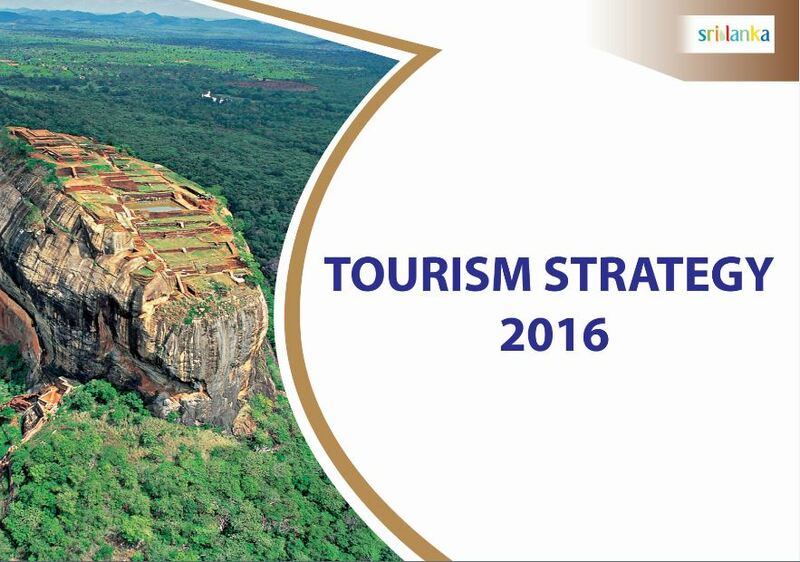 The new tourism strategic marketing plan of 2016 will focus on the long term result oriented approach to develop tourism industry in Sri Lanka than serving short term goals.Supported by the strong presence of the newly appointed Tourism Advisory Committee, Hon. Prime Minsiter, Board of Directors ,Chairman, Hon.Tourism Minister & Deputy Minister and the Ministry Secretary, it is aimed at laying the foundation for a far sighted tourism development strategy based on the industry inputs garnered from decades of experience , analysing research findings and country’s competitive position while being attuned to constant challenges faced by soci-political and cultural environment in the world tourism landscape. The Budget Proposal of 2016 has introduced a comprehensive policy framework for tourism development.Under the guidence of Hon. Prime Minister several key initiatives have been proposed such as setting up an Aquaculture park in Batticaloa, promote sale of gem and jewellery, encourage MICE tourism by establishing necessary infrastructure, encourage spending by tourists, trasform and upgrade touirst attraction sites and local tourism zones, encourage theme parks and removal of tax for water sport equipments yachts etc & introduce hovercrafts and other water based sports for tourists, tax holidays for investors and removal of TDL are key areas proposed. With the view of improving operational efficiency and to facilitate investement a new organisation will be formd under the name “Agency for Development”.Tourism branding plan, training and development for tourism youth, registration of tourist hotels based on quality standards etc of the Budget Proposal 2016 , will heavily contribute to sustainable tourism development strategy for Sri Lanaka. As such Sri Lanka Tourism is confident that the new strategic direction will move the country forward making it the most sought after travel destination in Asia while all stakeholders of the industry reap its benefits. It is very clear that within the next few years to come, tourism industry will become a sustainable sector in the Sri Lankan economy being the top GDP contributor within next few years. Sri Lanka will adopt a concerted and coordinated approach linking private and public sector and all stakeholders ,to assess policies that govern future industry development and provide knowledge to guide successful and sustainable Travel & Tourism strategy for the country.